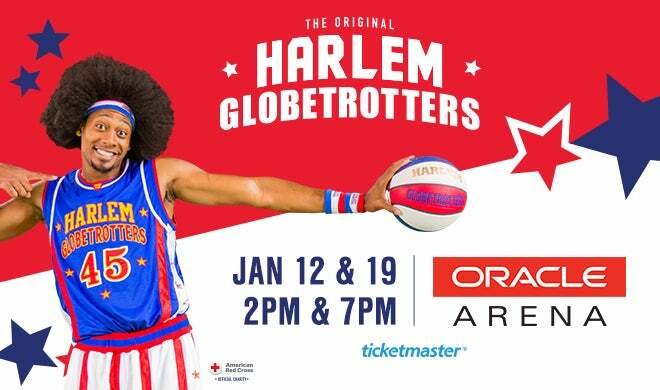 The Original Harlem Globetrotters are on the road for their action-packed World Tour and will be back at Oracle Arena this year on January 12th and 19th! 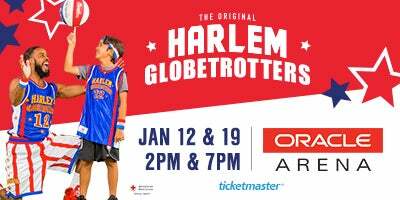 A star-studded roster will have fans on the edge of their seats to witness the ball handling wizardry, basketball artistry and one-of-a-kind family entertainment that thrills fans of all ages. Join Globetrotter stars after the game where they will stay for an autograph, photograph and high five session for fans (subject to availability). *Discount includes waived online taxes/fees. **There is a $7 processing fee per order. Ask about our group experiences including group photos on court, PA shout-outs and more! Doors Doors open 1 hour before show time.